Web development must consider good design in order to satisfy user interaction. However, for many users, the interfaces of Web applications are still difficult and frustrating to use. Frustration may not only result in personal dissatisfaction and inefficient use, but may also have a bad effect in the workplace. One experience with misleading data or unexpected results will undermine a person’s willingness to use an application for a long time. Knowledge of Human-Computer Interaction (HCI) supports developers in designing useful, usable and pleasant computing technologies. However, regardless of this knowledge, practice of the waterfall approach is the main methodology, embedded and integrated in well-established procedures. This study reports the results of a survey of 82 individual practitioners who received a formal HCI and HCI-related education in their Web development projects. 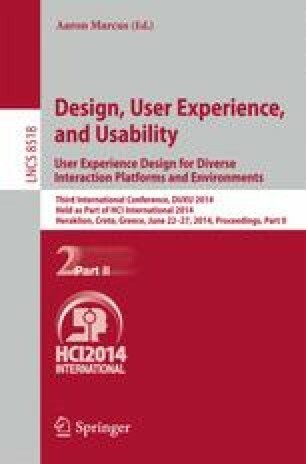 The study used a Likert-scale metric to measure the prevailing User Experience (UX) in explicit practice which is rooted in the HCI-related discipline. The findings indicate that enforcement of the use of HCI knowledge can strengthen the policy of integrating UX principles in the Web development process by the appropriate authority, e.g. university department for project assignment.